The Blue Mountains never seem to disappoint me. No matter how many times I have shot there, it always gives me something different and unique! I was always looking forward to this one because the groom is a good friend of mine and a fellow epic wedding photographer. Jon & Sarah wanted something super low key and intimate amongst the ranges of the Blue Mountains. 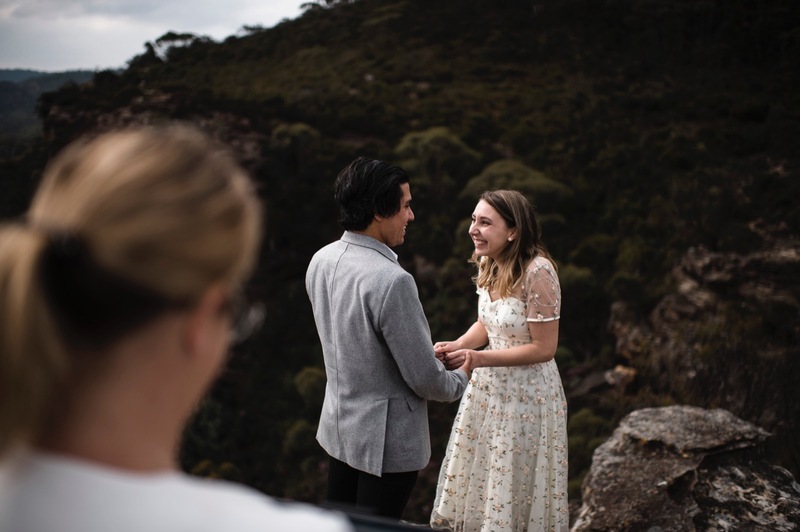 They got ready separately in the same accomodation, had a first look on a cliff edge, mountain side ceremony, wicked feast whipped up by The Wilderness Chef and then we ventured off into the ranges for some epic dusk goodness! It is always an honour photographing a fellow photographer and friend’s epic elopement!